A teenage girl wishes away her annoying brother. A young musician from a small town in China tries to save his town's treasured Rock Park by organizing a charity rock concert. Hoping to win over his love, a bankrupt man asks his mysterious millionaire aunt for help. A concept that is too grand for the team to execute, even though similar topics have been done many times in other countries. The film is filled with plot holes and contradictions. Characters are so one dimensional and seldom made sense in their actions. And the biggest sin of all, especially for a film that is so predicated on its mysteriousness is that it is painfully predictable. Nothing in the film jumps out, and will be quickly forgotten by viewers. 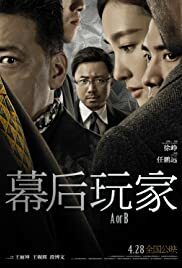 It is good to see Chinese cinema veering away from chick flicks and trying new genres, so at the end of the day it is still a worthy experiment.